Pro-GreenMX Pro-Wipes are our solution to help you clean without water! Our non-abrasive wipes are perfect for hands, helmets, goggles and disc brakes and are fantastic at removing oil, grease and grime from any surface with ease, whilst remaining gentle and cleansing on the skin. Pro-Wipes are completely portable to provide you with easy access on the move. Simply remove 5/10 wipes from the tub (150 wipes) and place in an air tight bag! Also handy to keep in your car/van and garage etc. ‘Have used the 150 sheet tub since last March and the product is really very good once you get used to using them in place of the proverbial greasy rag. Once in the habit it is so easy to clean off the hands and tools before putting everything back in its place gleaming and ready for the next time. I now take the wipes wrapped in a ziploc bag in my bike puncture repair kit, a quick wipe down for the hands and no more greasy and marked bar tapes. 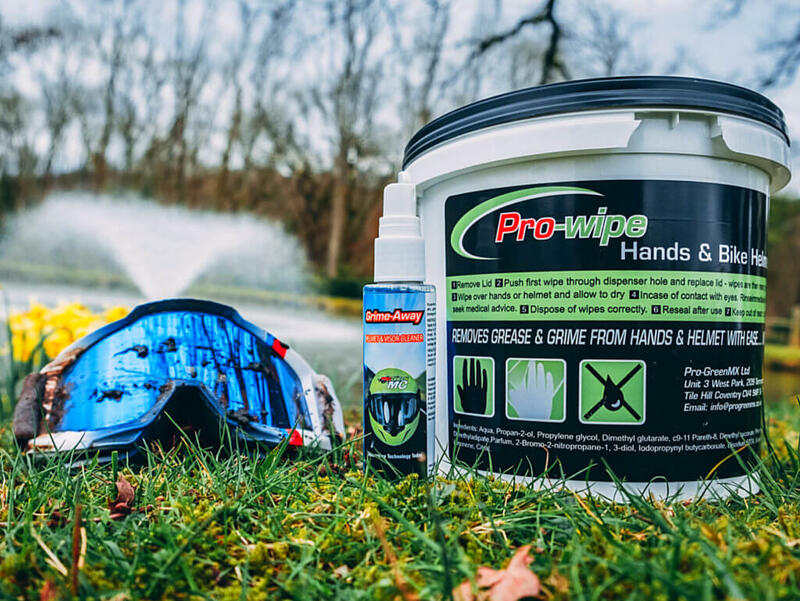 The wipes leave a pleasant smell and can be used to clean down virtually everything from black carbon bike frames, aluminium rims, handlebar tapes and saddles; there is no end to the uses. The Boss now uses them in the kitchen so a new tub is imminent. All in all an easily handled effective addition to any workshop and tool box’.